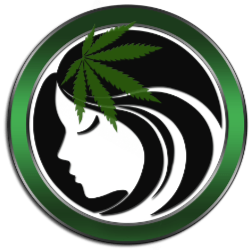 MaryJaneCoin [MARYJ] is lead by developer Adam Garrity (US). Adam has been face verified by his personal Facebook, Passport, photo submission, MMED badge, and video submission on October 16th. Adam has also submitted his personal and business phone number, LinkedIn, Skype, and Google Plus. Adam states that he works in Crypto Full Time and also works Full Time In The Cannabis Industry as A Consultant , retail supplier , Master Grower , And Master Hasher. Adam is licensed by the MMED to Contract my services to any Dispensary or Marijuana Business. Adam also owns a Cannabis Concentrate Manufacturing Company. Adam is the only one with GitHub access to the source code. The best way to contact Adam is through the IRC: AdamGarrity. There has been no in person contact with Adam. MMED information badge was submitted for third party verification. With the above information along with other personal information that I have gathered about the developer of MaryJaneCoin [MARYJ] the rating of 5 Plus+ PODs has been given. Great Work Thank you. Maryjanecoin Is long Term. This is a great score.